Bristol’s 24-year-old Trump won the fourth ranking title of his career by out-playing home favourite Robertson in Bendigo. It’s Trump’s first ranking trophy since the 2012 International Championship in China – when he beat Robertson in the final. Melbourne-born Robertson had beaten Trump 13-11 in the quarter-finals of the World Championship two months ago, but this time he missed out on the chance to win his home tournament for the first time. For the second year in a row the 32-year-old had to settle for the runner-up prize, having lost in the final to Marco Fu 12 months ago. He had also been bidding to win back-to-back ranking titles having won last week’s Wuxi Classic. 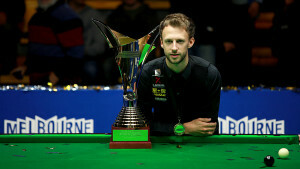 However Robertson can take consolation from the fact that he has regained the world number one ranking from Mark Selby. Trump himself stood at the top of the world rankings following his 2012 International Championship victory. He subsequently suffered a dip in form and slipped out of the top four. The left-hander showed signs of his best towards the end of last season, particularly in reaching the German Masters final in February. And now the talented former UK Champion has broken his drought and flies home with a piece of silverware as well as a cheque for $75,000. Today’s final saw the first six frames shared, Trump making the bigger breaks with 50 and 71. 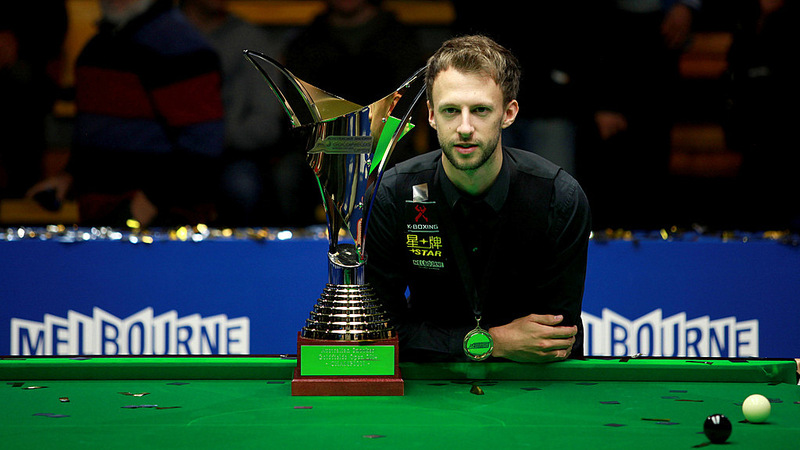 The Englishman, who last played in this tournament in 2011, then made a decisive surge. Runs of 55 and 114 gave him the last two frames of the afternoon session, then in the first frame of the concluding session he cleared from blue to black to go 6-3 up. Trump took frame ten in three scoring visits then made a 101, his eighth century of the tournament, to lead 8-3. Robertson battled gamely, dominating frame 12 then winning the next with a break of 109 to close to 8-5. He had chances in the next but could not take advantage and Trump eventually potted the final blue to seal the match. “I played well throughout the week although today was quite cagey,” said Trump. “Even at 8-3 ahead I knew he was capable of winning six frames in a row – he did that against me at the World Championship. He started to go for his shots and they were going in, so I was a bit nervy because if it had gone 8-6 then the pressure would have been on me. “The difference today was that I was nicking the tight frames. I was happy to be 5-3 ahead at the end of the first session, then I won an important first frame in the evening session. “Last season I didn’t play well at the start but I did in the second half and it was frustrating not to win a title. It’s great to get off to a good start this season and hopefully I can win more. Robertson said: “This week I had a pretty comfortable path to the final, but Judd definitely played the best snooker and he was just too good for me today. I want to congratulate him and thank him for entering the tournament this year. I hope he’s enjoyed it as the playing conditions are the best we play on all year, and the crowd have been fantastic as well.